What's smaller*, sleeker, more nicely designed and probably faster than anything Apple Computer ever dreamed up? A PS/2 "E" of course! The PS/2 9533 or "PS/2 E" was probably IBM's first attempt at marketing a compact computer designed to be environmentally friendly. I have heard that the system unit was entirely recyclable when it reached the end of its life. 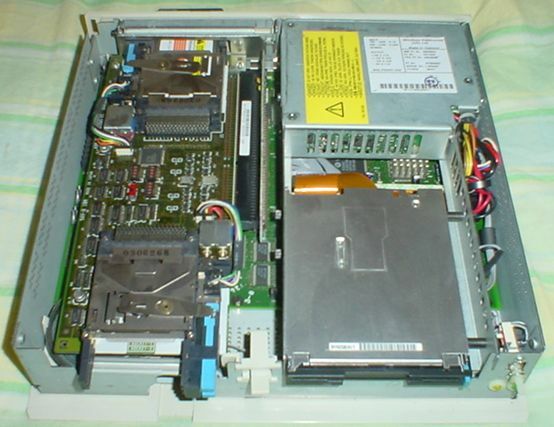 Because many laptop parts are used (such as the hard disk, PCMCIA expansion adapter and floppy drive) the unit consumes very little power...and it only has a 33 watt power supply! To further drive power consumption down, a matching active matrix color LCD (flat panel) was available. Mine is as of yet pretty well unconfigured. The base system board is in place, and that gives us some RAM, a 486SLC2-50MHz CPU, and XGA-2 base video. Mine is outfitted with the IBM 4 slot PCMCIA adapter...this fits into the computer's lone ISA slot and gives you two rear and two front mounted PCMCIA slots that even have security locks on them. So far I have only tested it to power on. 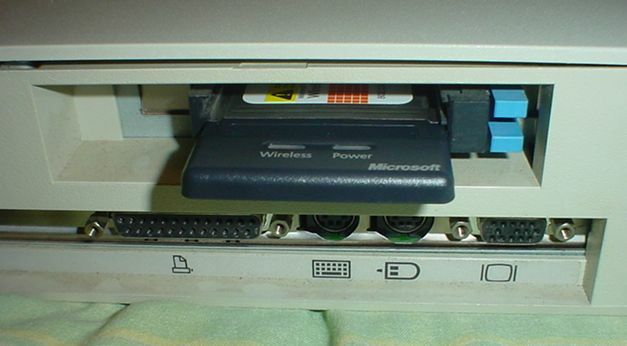 Plans include Windows 95 and an 802.11b PCMCIA NIC. I'm not quite sure where in "the herd" this one will end up, but being such a rare find it will have a special place in the collection! Seeing as it will probably be a long time before I get around to all that I have planned for this thing, here are some pictures you can look at in the meantime. *Well, almost. Then the Mac mini came out, and of course I have one.